From this first clip, it’s hard to beat the lesson Will Smith teaches about leadership. 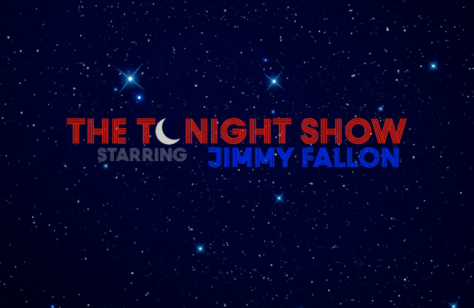 Near the two-minute mark, Will teaches Jimmy that The Tonight Show (has been and) will be a success because people, caring, and relationships matter most. People are coming for you. The Tonight Show is big, and it’s historic, but people are coming… because of your heart. As teachers and leaders striving to change lives, it’s so important to remember this critical lesson! I tell [my kids] all the time, “you just keep loving people.” Right? The thing is to make sure with your art… your art is a gift to people to help their lives be better and to be brighter. And what happens a lot of the times where you see people fail in this business is they’re in this for their ego, and they start doing it for them. And it’s like, “No!” You’re trying to help people just get through the day… and you do it really well. Why do you do what you do? As a world and a field and as schools, we could sure use a lot more brightness and a lot less ego. In the second clip, from Tuesday’s show, Jerry Seinfeld delivers a hilarious monologue. Topics in the monologue include our dependence on cellphones to half-heartedly communicate with “the people in your life,” and a brutal critique of mail carriers and the 21st Century US Postal System. I can’t understand how a 21st Century information system based on licking, walking, and pennies is struggling to compete. Is it even possible to watch this clip without making comparisons to (hopeful? needed? impending?) efficiency shifts in education? When Should You Buy Your Child a Smartphone?